Whether you're at work, at the park, or on an adventure in the mountains, it absolutely stinks when your smartphone or tablet runs out of battery power and you're stuck without a connection to your friends and family. 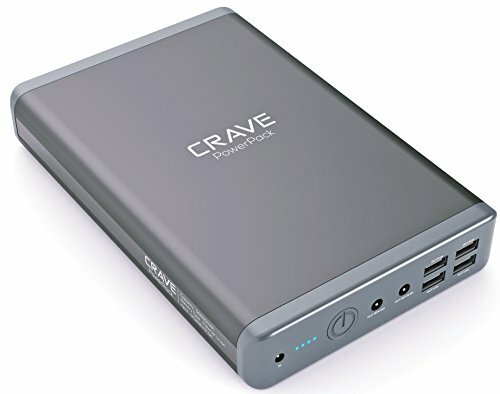 But thanks to the powerful Crave® PowerPack Portable External Battery Charger, you can stay on the go and keep your devices fully charged for days on end without ever having to reach for a wall socket. Portable, compact and lightweight, the Crave® PowerPack Portable Battery Charger offers universal compatibility with all your favorite smartphones, tablets and mobile devices. Whether you need a external battery power bank for your Samsung Galaxy or the best battery charger for your iPhone 6, our external battery charger will extend the power of each and every one of your devices, so you never have to slow down, be without contact or miss out on sports scores. If you have any questions about this product by Crave, contact us by completing and submitting the form below. If you are looking for a specif part number, please include it with your message.